and technology, new methods of agriculture, scientific cultivation, organic farming etc. to harvesting which proves the value addition in the crop. 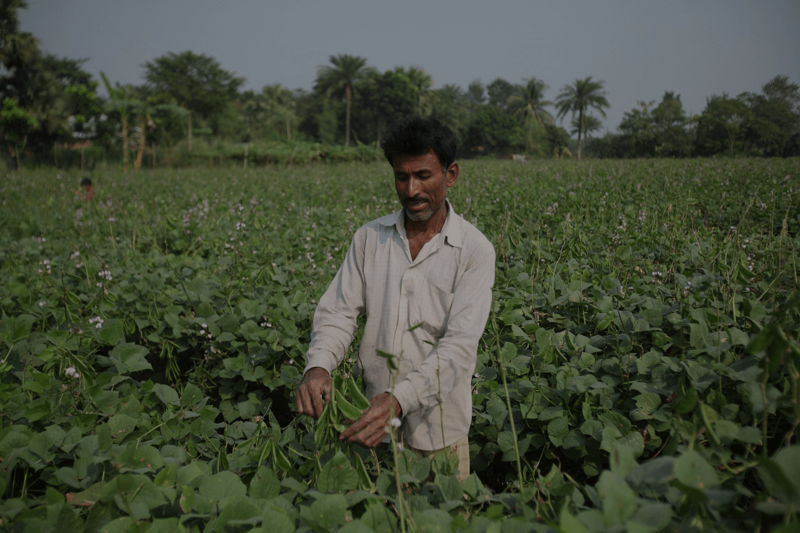 The content of the app are exclusively for indian farmers and agriculture. Our aim is to educate farmers using video for their better life and agriculture. 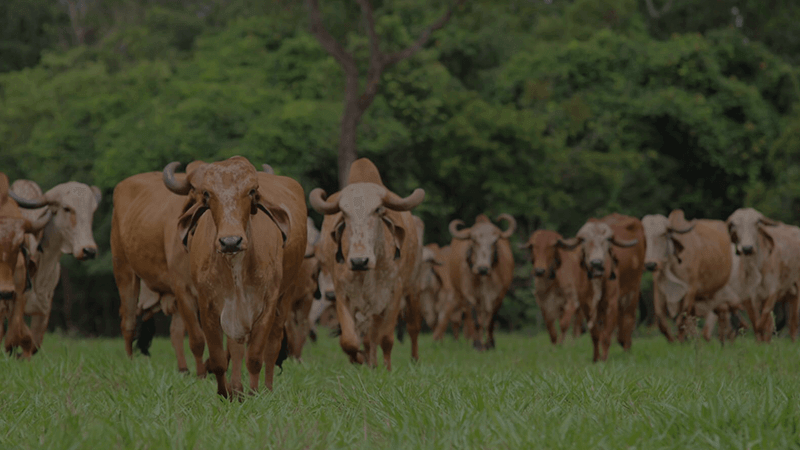 You can find exclusive videos about animal husbandry and dairy farming. A branch of agriculture concerned with the production and care of domestic animals. machinery which can reduce human efforts and save the time. 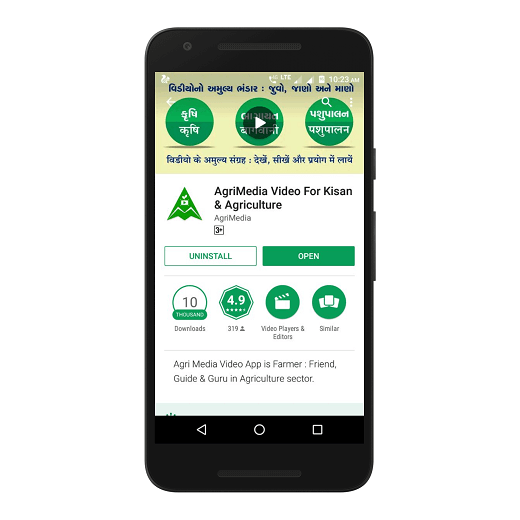 The AgriMedia Video App is exclusively dedicated to Indian farmers. This is best amongst agriculture apps in India. 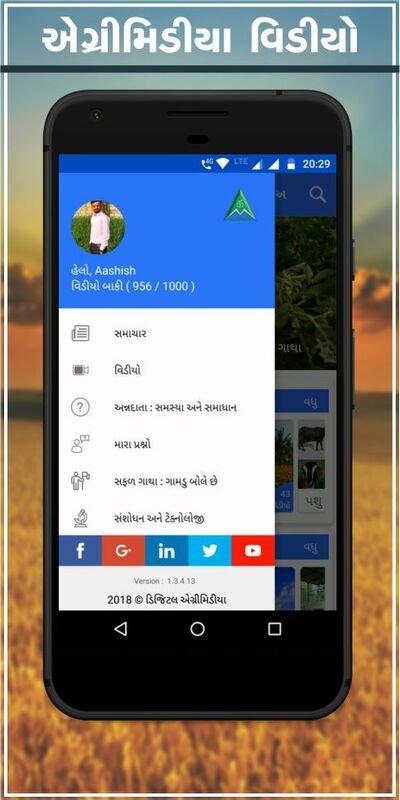 All videos of Agrimedia app is available in Hindi & Gujarati language and very soon available in other Indian languages to help farmers for better Farming. AgriMedia Video App aims to assist farmers in their journey towards better and technical farming and boosting their incomes. Vision of Agrimedia is to empower farmers by providing information and help as decision making support system in crop and soil management, pest, disease, weed control, fertilizer and irrigation management. Other than agriculture we have covered many other topics in the app like Rural Development, Pashupalan, Animal Husbandry, Poultry Farming, Horticulture, Fisheries, Bagayat Kheti, Machinery, Forestry, Agro Forestry, Dairy Farming, and Government Schemes. All Videos are in High Quality Which can Give You Awesome Watching Experience. Stay Updated with Latest National & International News about Agriculture World. Ask your Questions Related Agriculture and Get Instant Answer by Agri Experts. 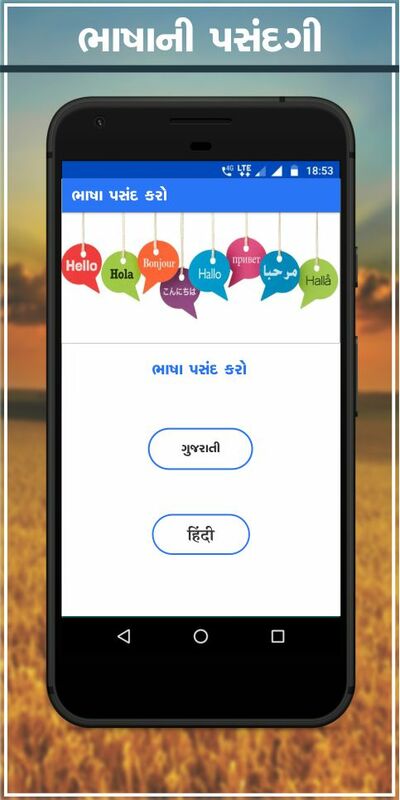 App is Available in Hindi & Gujarati and Very Soon Available in Other Indian Languages. App Gives You Deep Information about Particular Topic From the Start to the End. 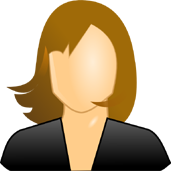 After Creating Profile, Farmers are able to See other Farmer’s Questions and Answers. Do we need to pay to use the app? No it's completly free There is no charge for Using our app.you can access all the features which we describe you and without any charge. We included Videos, News, Language option, and Question feature, and many more functionality which will help you to connect with agriculture. Is internet required to use the app? Yes internet is required to use the app. 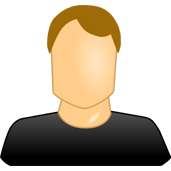 Read what our application users say about our work. 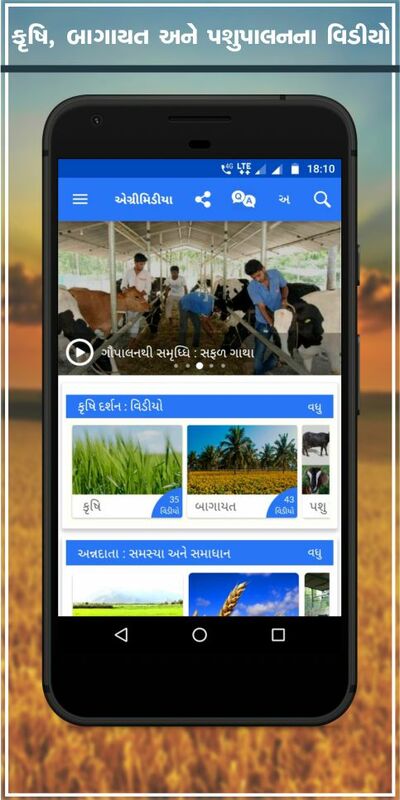 World best Agricultural video app First time seen this type of video Agri World is in hand of farmers. This is excellent app for farmers even illiterate farmers.. Video based education and also real field based video with farmers own experience bases cases makes it wonderful app not only for farmers but also educators, extension worker and NGO staff.. Excellent app and very Useful to farmers direct for best knowledge through video and audio for all agriculture related activities. It is excellent concept. Through this app farmer will be benefited in terms of technology of Agriculture. Regards. 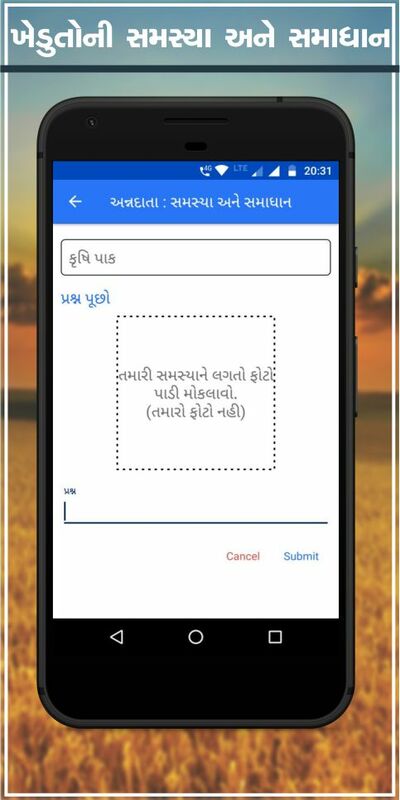 It is world's best application because it is easy to understand and learning for farmers. 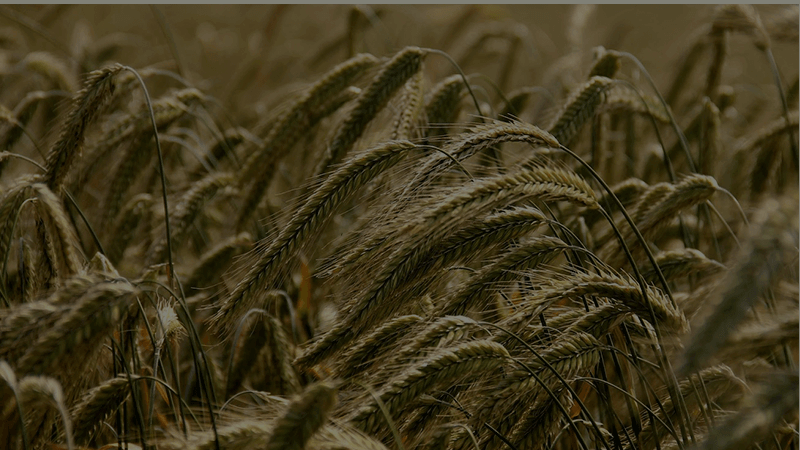 Get instant updates and news related to Agriculture. Available in the Google App Store. 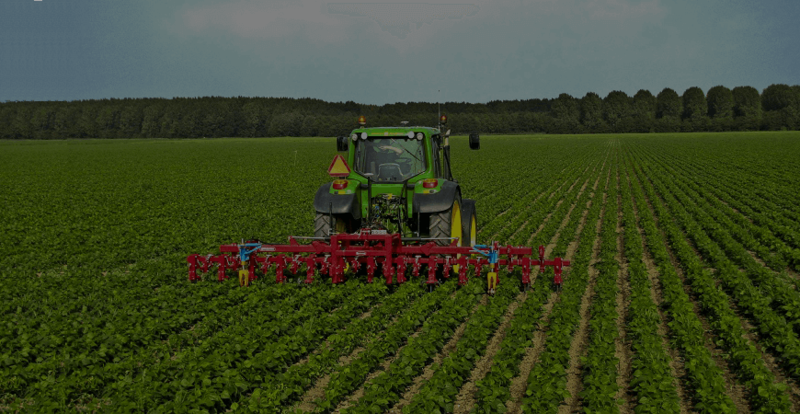 Find the Best Information About Agriculture World. One of the Top Free Agriculture App. 403, Shalin Complex, Sector 11, Gandhinagar, Gujarat, India. Agrimedia © All Rights Reserved.